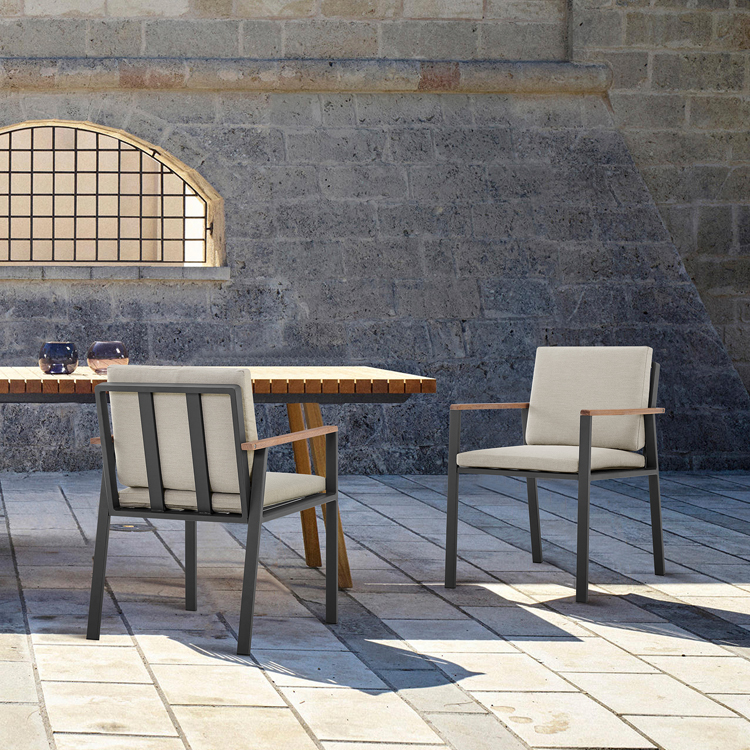 The Armen Living Nofi contemporary outdoor dining chair is a terrific choice for any modern patio arrangement. This elegant chair features a lightweight gray finish aluminum frame that allows for easy transportation without compromising on durability. 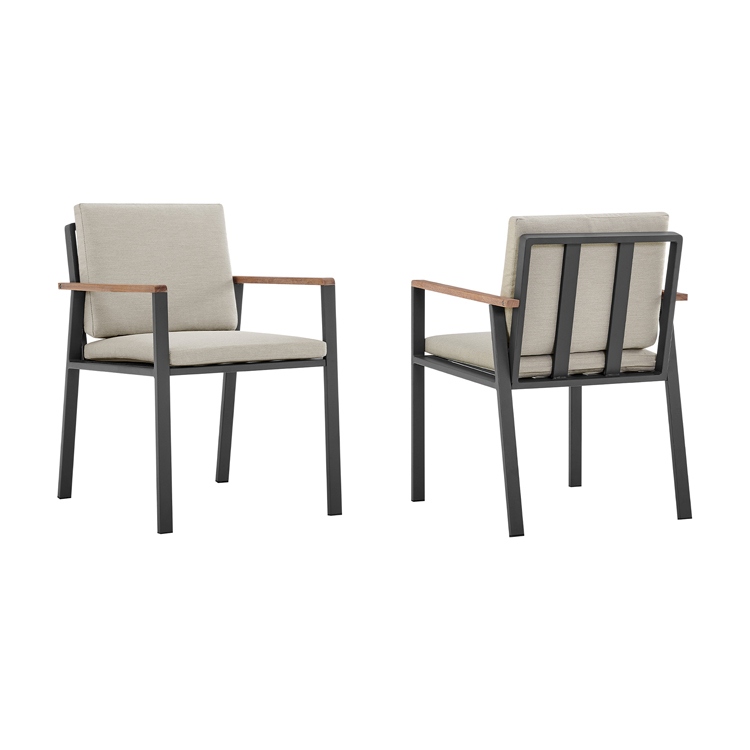 The Nofi chair’s detachable back and seat cushions are olefin upholstered, assuring water, chemical, and fade resistance. 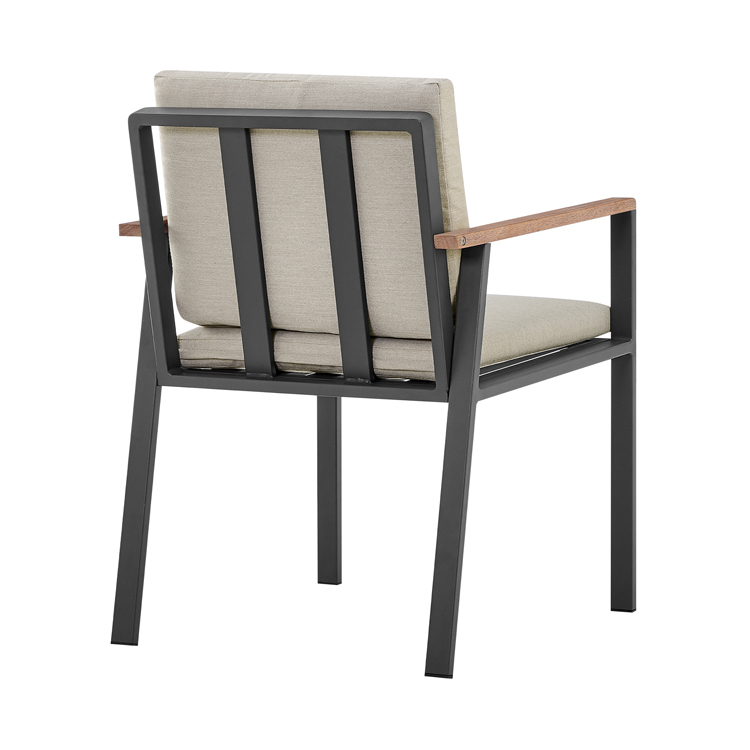 The Nofi’s arms feature teak wood accents for enhanced aesthetic beauty. 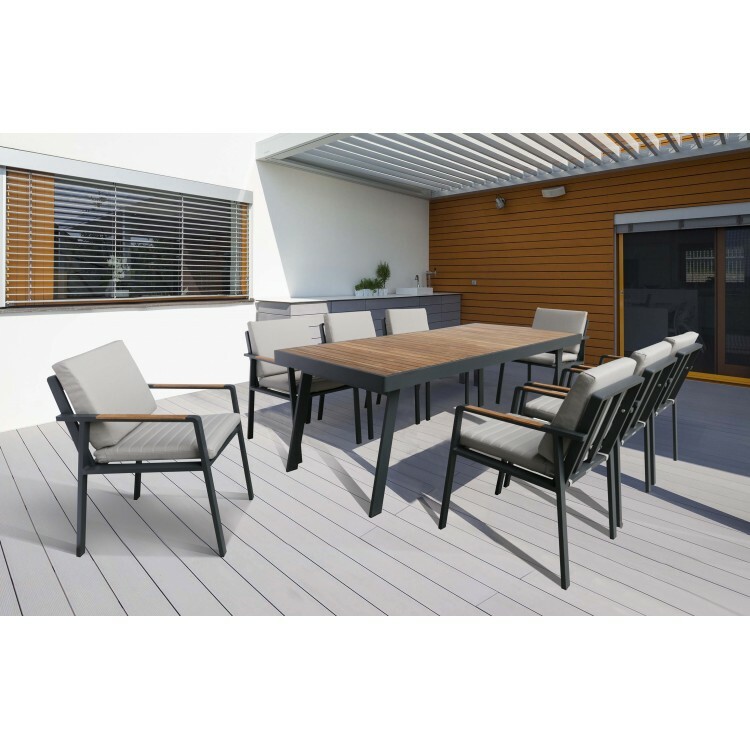 The Nofi dining chair is ideal when combined with the Nofi patio dining table. Available in charcoal finish and taupe upholstery, comes in a set of 2.